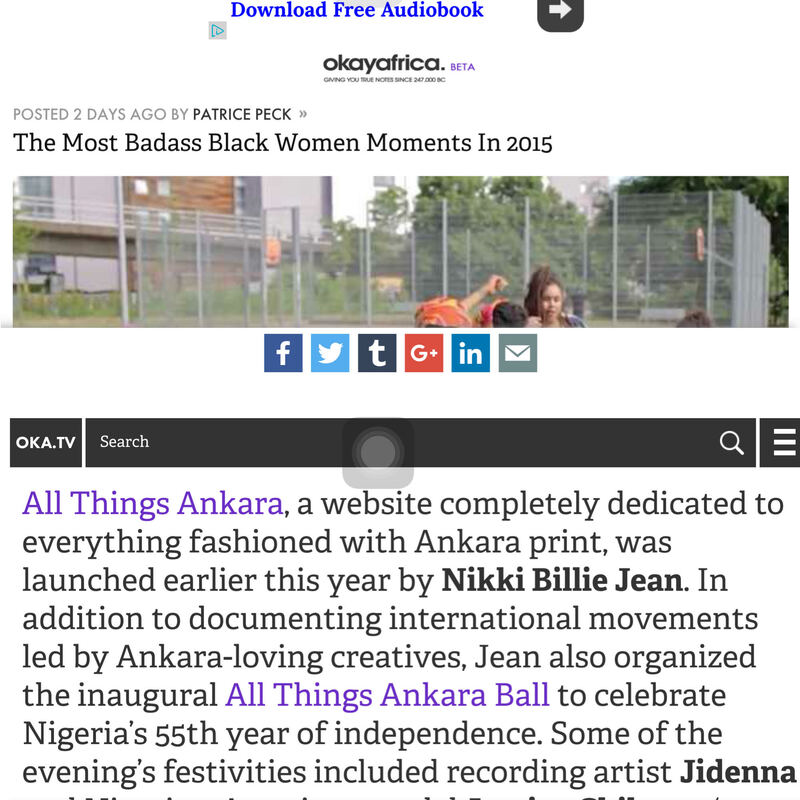 I have been named one of Okay Africa’s The Most Badass Black Women Moments in 2015. I was featured on the list for producing All Things Ankara Ball 2015 in October. Thank You Okay Africa for including little ole’ me on this list along side Uzo Aduba, Lupita Nyong’o, Chimamanda Ngozi Adichie & many other amazing black women. Salute to all the badass black women who did their thing in 2015. Thank you Abiyole! Appreciate the love and support!